It’s over; I want a divorce. Those are some devastating words a person can hear. The relationship is over and you have signed the divorce papers as the marriage you entered with a lot of hope is officially dissolved. Divorce can leave you financially strapped, lonely, and depressed and be wondering what to do next. Some days after divorce it might be tough to get out of bed let alone figuring out your future. However, now that you are in this position, the question is, “where will you start from as a newly single person”? The good thing is, after the divorce, there is hope for a better life. Here are some tips to rebuild your life and become a better person. The broken vows, the crushed dreams and the reality of beginning all over again can cause severe emotions. Shunting those feelings down and not letting them will cause more damage in your life. Many are not quick to realize the disparaging paths of going down until much carnage is behind them. 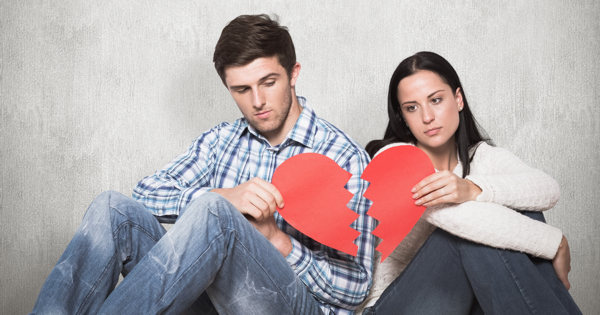 Every stage of grief after divorce comes with resentment, shock, denial, and acceptance. To men in most cases, they encounter a deep feeling of personal failure. Getting a trusted person to help you go through and share your feelings with is greatly recommended. It could be a sincere wise friend, a counselor, a cleric’s person or a small group. Grieving after divorce is almost similar to that of losing someone. Some people may feel like they want to stay busy for the sake of themselves and the babies. It’s okay, but remember that you deserve to do something exceptional every day for yourself even if it is only ten minutes daily. It may be as simple as reading a book, taking a walk or working out. The happier you are, the more your family will. Holding so much onto bitterness and regrets will only deteriorate your life. Is your inner voice mulling over with all the “if onlys” and “what if”? This is very common at the beginning for sometimes, but examine yourself, are all these thoughts making me feel better? Will these thoughts change anything? For your life to move forward, it is vital to evaluate your feelings, learn from the past as you prepare for the next thrilling stage of your life. Let it go. Yes, there is a happy life after divorce. You don’t have to be lonely just because you got divorced. Divorce will cause chaos on several of your existing friendships but accept that gracefully as you hang onto the one that reaches out to you. Carefully make good friends with those of same goals with yours or are in a similar situation. This is the most vulnerable area to regression. Indeed, it is anticipated to be a fun and active social life but pursue it with abundant care. Maybe after the divorce, it is your first time to manage family finances and making future plans alone. It might feel overpowering but don’t assume or hope that you can make it with what you are getting at the moment. Or hope that you will encounter someone who will provide your upkeep. First, educate yourself concerning financial planning. Second, get a financial planner who you can review together your finances and spending. Seeing your economic reality can be a wakeup call to many people. In case you had children together, it is recommended that you concentrate on the best for your children. Have in mind that you will be co-parents for the rest of your life. Embrace that responsibility and make every decision while giving the children the first priority. Once you feel ready, consider dating. This is not about rebounding. Consider someone who is not your type without necessarily thinking that it will end up in to marriage. For instance, maybe you always consider a shy or a quiet type, an athlete or musician. Turn from your usual preferences and stretch your dating prospects a bit. Divorce is not easy, but the first step to feeling better is realizing that you can go through it and make it. Thriving and surviving after divorce requires support. You don’t have to do it all alone. Get help. You will be certain that you are moving ahead once you start living a life worth living. Phylis is a freelance writer with excellent overall writing skills in many different tones and skills. I write for clients who believe the world requires more individuals avidly pursuing their passions. With a lot of creativity, I write contents with readers in mind and a deep understanding of customers and what motivates them online. For me, success derives when my clients are pleased with my work as I am.